Suicide is the 10th leading cause of death in the United States. That’s about 123 individuals each day. And for every death there are 25 attempts. The financial cost is a staggering $69 billion annually.1 The cost of life as well as to families, friends, communities and organizations is incalculable. Ninety percent of all people who die by suicide have a diagnosable psychiatric disorder at the time of their death. Of those, 75 percent are suffering from depression. Depression is among the most treatable of psychiatric illnesses. Between 80 to 90 percent of people with depression respond positively to treatment, and almost all patients gain some relief from their symptoms. But first, depression has to be recognized. The best way to prevent suicide is through early detection, diagnosis and treatment of depression and other mental health conditions. We need to talk openly about the fact that people experience suicidal thoughts and have an action plan in mind to help. Do your personal best to become educated and involved. Here is a list of websites for information on suicide awareness and prevention. 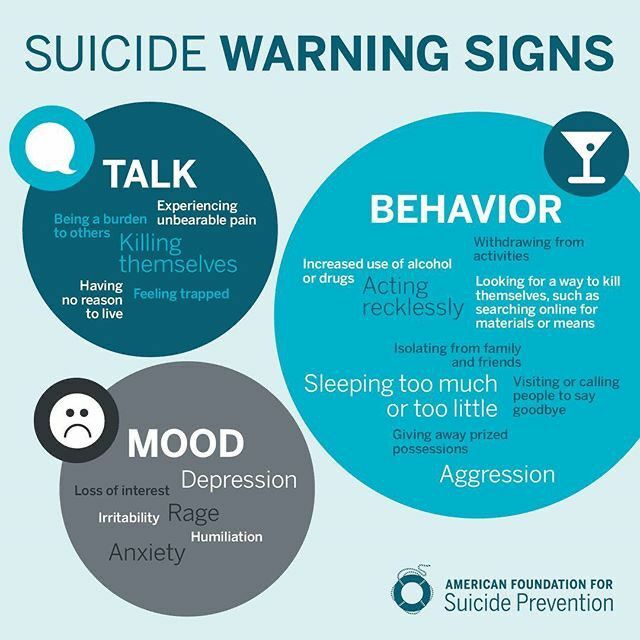 Most times, there are warning signs that someone is considering ending their life. They may have been struggling with depression, talking about just ending it all, saying they are done, not wanting to be involved in activities like they used to be, using drugs and alcohol, talking about feeling trapped, feeling there’s no point in life, or complaining of feeling hopeless. Take these seriously and refer the suffering person for help. What should I do if I am afraid that a person might end their life? First and foremost: Simply ASK! Be a good listener, validate how they are feeling, ask about their thoughts, tell them that help is available, and that you’re going to help them get it. For tips on how to talk to your friend or loved one, read: Preventing Suicide – Why Talking About “It” is Essential. 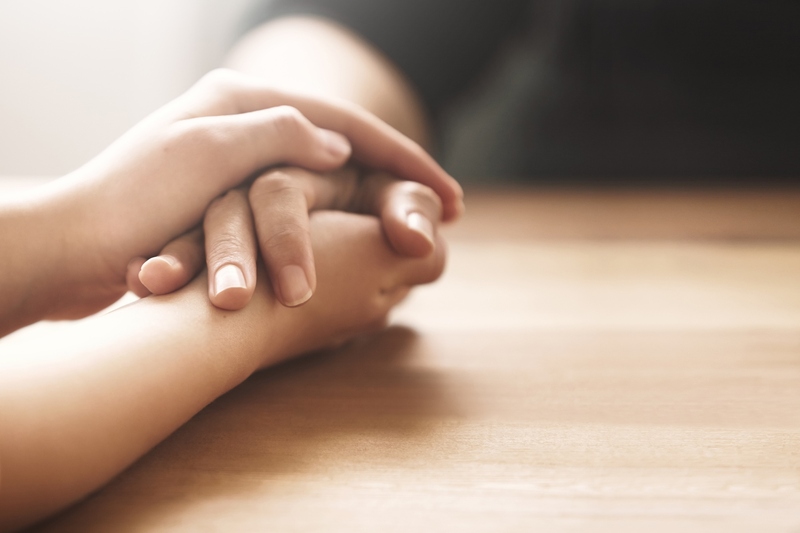 Call Pine Rest directly at 800.678.5500, take the person to the closest hospital emergency department or call the national suicide prevention number 1-800-273-TALK to speak to a trained professional. They can offer advice and information on what to do. Help keep the person safe. Guns are the leading cause of suicide, remove them from access. Also, remove objects that could be used for hanging, and secure all medications including Tylenol (acetaminophen) and ibuprofen. Stay with them until they are evaluated by a mental health worker or can be monitored by other friends or family members. Pine Rest is proud to be a sponsor of the 2018 Grand Rapids and Traverse City “Out of Darkness” walks. Please join with us and the American Foundation of Suicide Prevention and Awareness to commemorate the lives that have been lost, survivors of suicide and interested participants in raising funds/awareness for research. Check in starts at 11:00 a.m. Walk is 1:00 – 4:00 p.m. Check in starts at 9:00 a.m. Walk is 11:00 a.m. – 1:00 p.m.